About 3 years back, Shiseido was my go-to skincare brand. I was living in India, and the Pureness range from Shiseido with it's oil-control benefits was perfect for my oily acne-prone skin. Along with the Shiseido Skincare Hydrobalancing Softener, it kept my skin hydrated minus the oiliness and pimples. 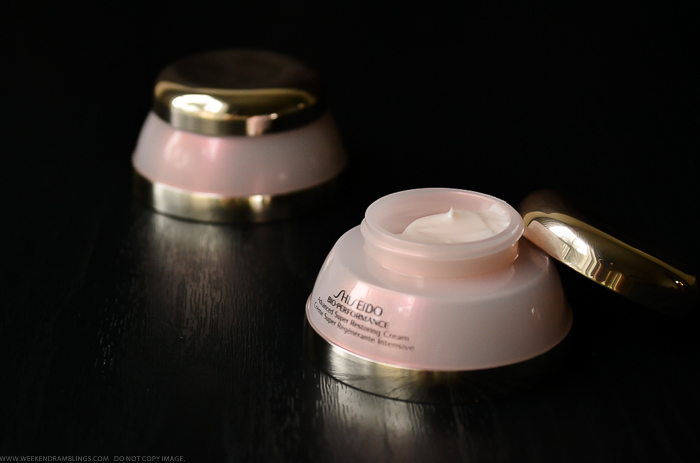 After moving here to the US, though, I hopped on to other brands and forgot all about Shiseido until I got a few samples of the Shiseido Bio-Performance Advanced Super Restoring Cream from Sephora. 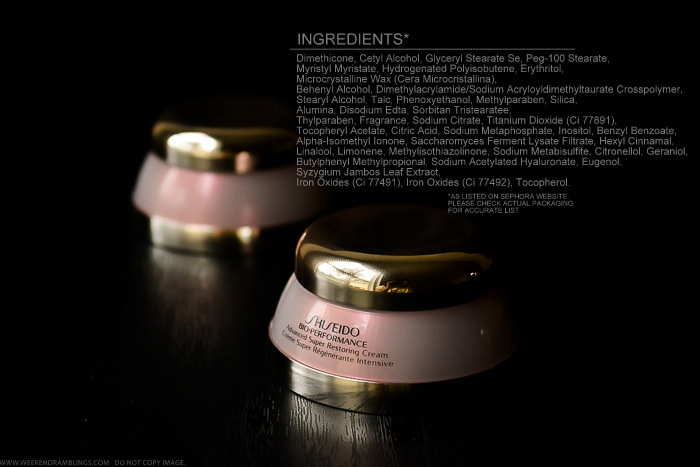 Shiseido makes quite a few antiaging, wrinkle-fighting, skincare-miracles-in-tubs sort of creams, and partly because my skin doesn't take too well to most antiaging ingredients and also because everything is just so pricey, I have never tried these out. 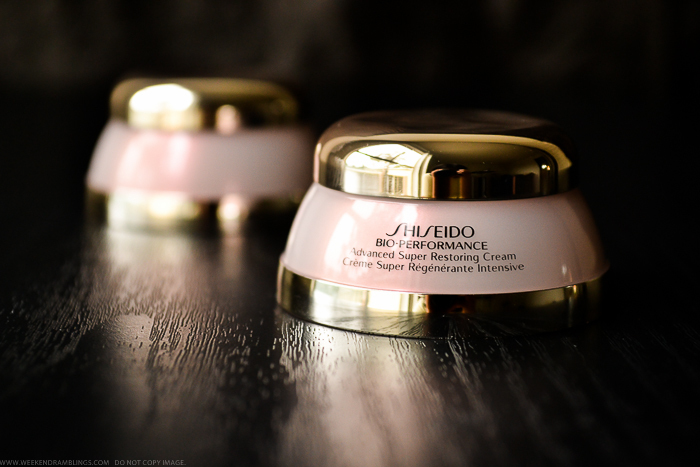 I have used the Shiseido Bio-Performance Advanced Super Restoring Cream for about a month. Despite being an antiaging cream, this isn't very greasy and is absorbed quite easily into the skin. The cream has an old-fashioned but pleasant fragrance to it. Like a lot of Shiseido creams (in my opinion), this too has some slip to it, so applying it feels like a mini-massage session for my face. I probably haven't used this cream long enough or consistently enough to see any drastic difference, but it does seem like a nice moisturizer for combination-dry skins. Oilier skin types might find this better suited for winters and/or as a night-time moisturizer. I amn't going to buy this, though, only because it's not really something I need, and I have a skincare routine that I am quite happy with currently. I need to start back adding Shiseido to my skin care line. Never minding the price tag, their product do produce results.